Leipzig is the largest city in the German federal state of Saxony. With more than 521,000 residents, this city is the cultural heart of the country. Leipzig has been a trade city since the Holy Roman Empire and still flourishes today. Famous tourist attractions of this unique city include Leipzig Zoo, St. Thomas Church and Old Town Hall. Cheap flights to Leipzig are now available for a limited period of time, so get ready to be fascinated by this historical city! Leipzig is home of Leipzig/Halle Airport (LEJ), which is located on a 20-minute drive from the city centre. The Old Town Hall, St. Thomas Church and several other buildings in the city centre were designed in the distinctive style from The Renaissance, which you can now admire. 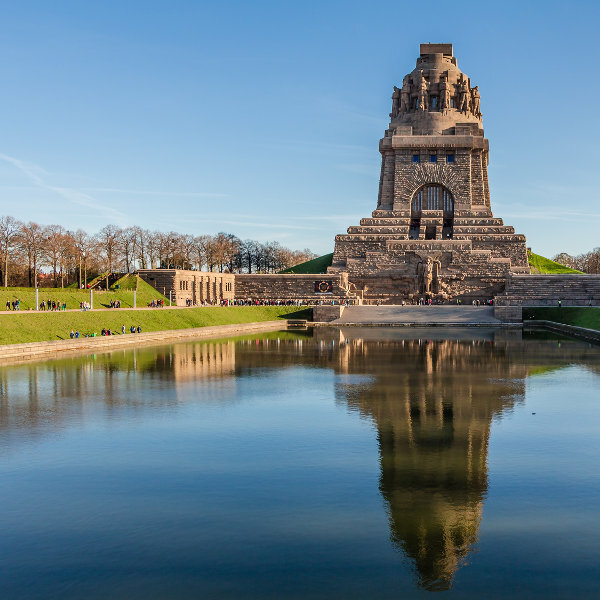 Leipzig must have been named the most liveable city in Germany due to its many woods, parks and lakes that span the city, offering visitors some natural beauty. 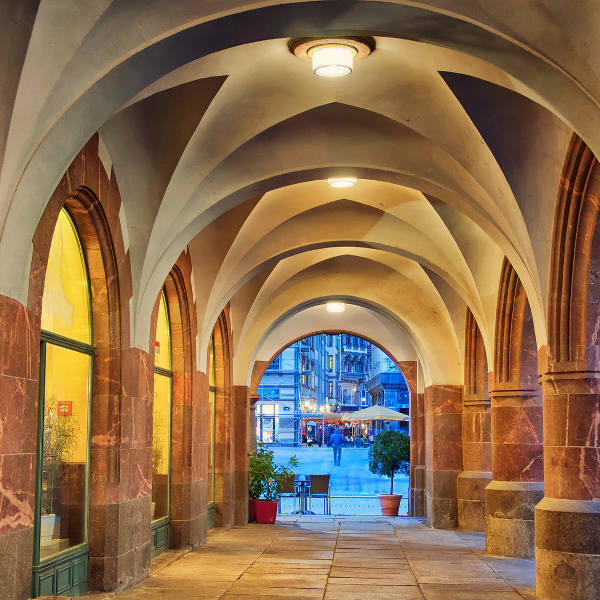 More than just for shopping and hidden restaurants, these exquisitely unique features, like Madler Passage in Leipzig, guide you through mazes from markets to museums to courtyards. The best time to explore Leipzig is from the months of April through to October as this is when the weather is most pleasant. If you’re keen on saving though, then perhaps avoid June and July as this is peak tourist season and prices for flights and accommodation are highest. The coldest months in Leipzig fall between November and February but as Leipzig has a fairly moderate climate, the temperature rarely drops below 0°C. You’ll be in luck as you will have access to the best attractions without all the peak-season tourists. Leipzig has been around for a long, long time and has records that speak of it during the Early Middle Ages. 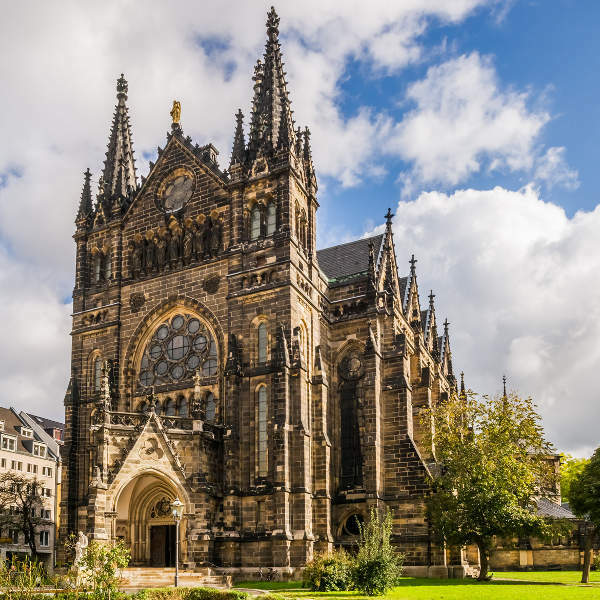 It used to be known as the cultural, music and publishing centre of Europe and is the resting place of classical musician, Bach, whose museum you can visit at St. Thomas Church. There are many magnificent churches and buildings that were built during The Renaissance for visitors to appreciate. In between these beauties and all across the city you can also explore the streets via the unique passages and alleyways of Leipzig. Leipzig also has one of the most modern and famous zoos in the world, the Leipzig Zoo. Here, children and adults alike can enjoy the beauty of more than 1000 animal species in comfortable and humane conditions. Compare several airlines, and book your cheap flights to Leipzig online at Travelstart! Leipzig is safe as it is a well-visited tourist destination. The city has a great sophisticated feel to it and is geared towards the safety of tourists. As with all big cities though, it is important to be aware of your surroundings. Not many residents of Leipzig speak English out of the city centre and so it would be a good idea to carry a German phrase book to eliminate confusion or getting lost. It is always important to have your vaccines up to date when you are travelling. When visiting Leipzig, it is recommended to get a vaccination for hepatitis A if you think you’ll be eating any exotic food. It is also a good idea to get a shot for hepatitis B, and then Rabies too if you plan to spend some time doing adventurous activities or interacting with animals.